Immediately breaks down and destroys odour-causing molecules on contact. 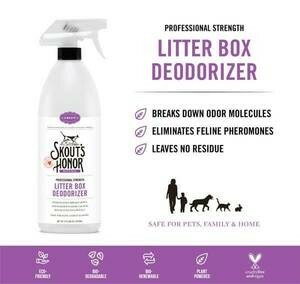 For use on litter, litter boxes, cat beds and any other area where offensive feline odours exist. WELCOME TO INSTANT GRATIFICATION! 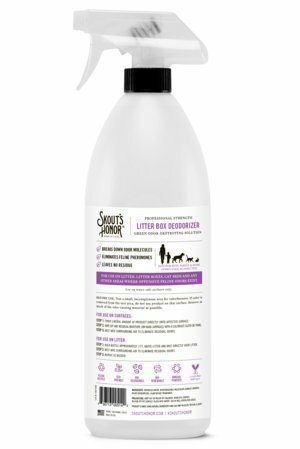 Finally, a powerful solution that instantly eliminates nasty litter box odours with just a few sprays. 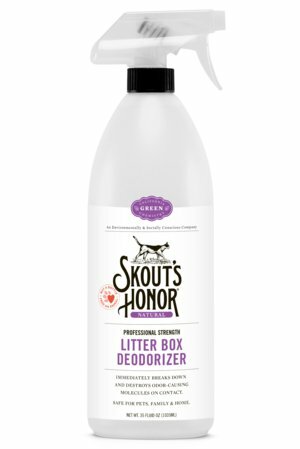 Spray directly on used litter and into the surrounding air in between cleanings and you'll understand why this product has been known to save marriages!